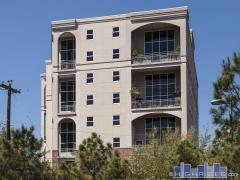 The Warwick Towers condominium is located near Herman Park, the Museum District, The Texas Medical Center & Downtown. Buildings amenities include 24/7 concierge, valet, porter, dry cleaning pickup, exercise room, sauna, formal Board Room and informal Terrace Room with kitchens. Have any comments or questions about Warwick Towers? Ask your question and/or share your thoughts about this Building.